As Spring warms up into Summer and the humidity and heat start to really set in, it's good to remember that, like every other member in your family, you need to take extra care with your pet. You can become dehydrated and dangerously hot, which can result in falling unconscious at best, vital organ damage, or at its very worst, death. The same is true for your pets! We tend to think of animals as hardier than humans, but the truth is, dogs and cats begin to experience heatstroke (hyperthermia, medically speaking) at the same internal body temperature as humans do — 104° F. Severe heatstroke begins at 105° to 106° F internally, as well. It might be more difficult for you to gauge temperature with smaller pets such as hamsters, but there's one rule of thumb to keep in mind. Always watch the heat index. Meteorologist use the heat index value to discuss what the temperature is once humidity is applied; it's this balance of heat and humidity that are dangerous to the health of your pet and you. If the heat index is 90° F, you need to be sure to take precautions to protect your pets. They won't be able to ask you to turn on the air conditioning or ask you for extra water, or even to tell you they're starting to feel ill. Your pets depend on you to responsibly monitor the weather and give them what they need to stay healthy and comfortable. Animals bodies work differently than human bodies. For instance, did you know that cats and dogs only sweat through the pads on their feet? Or that its their ears that allow rabbits to dissipate heat? What keeps you cool may not help your pets to stay cool too. If you're ever unsure about how to care for your pet specifically, please feel free to ask us! Use an air conditioner. Because of the way your animals sweat, a fan by itself will not be enough to help them release body heat. Be prepared for severe or disastrous weather that could disable power in your home. This will probably exacerbate the risk of heat stroke, as you will have a harder time providing cool water. Consider using the basement when you're leaving your pet alone at home. Since it's underground, it will naturally be cooler. Provide plenty of shade and ventilation. This is true while you're indoors, but it's especially important when you're outdoors. When outdoors, ensure nothing could keep your pet from reaching the shade (e.g., leash getting stuck on something). Keep your pets indoors both on very hot days and during the hottest part of the day, and avoid ground that will retain heat, such as asphalt and sand. NEVER leave your pet in the car unattended, no matter how quick your errand or how shady your parking spot is. Cracking the windows also is not enough to ensure the safety of your pet. This is a leading cause of hyperthermia-related pet deaths. Do not muzzle larger pets, like dogs. Panting is part of their cooling process, and how they pant will help you determine how well or poorly they're reacting to the temperature. Make sure your pet has easy access to water, and if you're going to be out of the house, consider using a pet fountain that will prevent spillage. Putting ice cubes in your pet's water will also help them keep their internal temperature down. Note: Older or impaired animals may drink less water than other pets; be sure you make cool water even easier to access for them. Use ice packs or similar DIY options (e.g., frozen water bottles) to help your pet cool itself. For small pets, you can put this in their cage to lay against. Larger animals may need them wrapped in a towel so they can lay on top of them. Apply water to keep your pets cool. This could be something small, such as misting your rabbit's ears, or something wetter, like letting your dog have a dip in the pool. Give your pets cool treats, like peanut-butter Popsicles or chilled wet food. Take extra care with animals that have certain high-risk factors, including heart or lung disease, obesity, or thick-hair coats. Unusually rapid panting with the tongue hanging out. Uncoordinated movements and muscle weakness. Sudden breathing distress, possibly with fluid in the lungs. Even lizards and birds can experience heatstroke. Stiffness, discolored skin or tongue, rigidity, lethargy, and loss of appetite are a few signs these pets may be experiencing heatstroke. Be sure to talk to us about your pet specifically so you know what to watch out for. Cardiac or pulmonary distress or arrest. Blood clot dysfunction or disorder. Liver disease, disorder, or cell breakdown. Depression or other mental changes. Hydrocephalus (abnormal accumulation of fluid around the brain). If left untreated, heatstroke can result in death. You need to handle your pet carefully if you determine they have heat stroke. Making them too cold, or making them cold too quickly can cause problems. In the case of the former, it can increase the risk of shock, as well as hypothermia. The latter will cause the blood vessels to constrict, making blood flow difficult and preventing your pet from actually being able to cool down. In the case of small pets, you want to wet their paws and ears with cool water. Wetting the fur will also help, imitating the process of sweating. It is especially important to cool small pets down slowly, otherwise there's an increased risk of life-threatening complications. Once you've brought their temperature down some, wrap them in a wet towel gently and loosely to keep cool for transport to us or an emergency vet station. Caring for larger pets is similar. Bring your pet's body temperature down to a safe level (about 103° F) by wetting their fur with cool water; you can also use cloths wet with cool water placed in key locations such as the back of the head and the armpits. Allow them to drink or lick ice if they are thirsty, but do not give them cold water or try to force them to drink. You can use a children's re-hydration drink or add a little salt to their water to help restore minerals lost from overheating. Once they're at a normal temperature, dry your pet thoroughly to prevent hypothermia. Bring them to us or an emergency vet immediately. If you've found your pet unconscious and unable to wake them, bathe them in cool water. Be careful not to let water get into their nose or mouth, as this can result in aspirated pneumonia. Bring them to us or an emergency vet as quickly as possible, and if you can, put a cold pack against their belly during transport. Frozen water bottles or bags of frozen vegetables can double for an ice pack. Tests for damage to internal organs. Treatments based on our diagnosis. 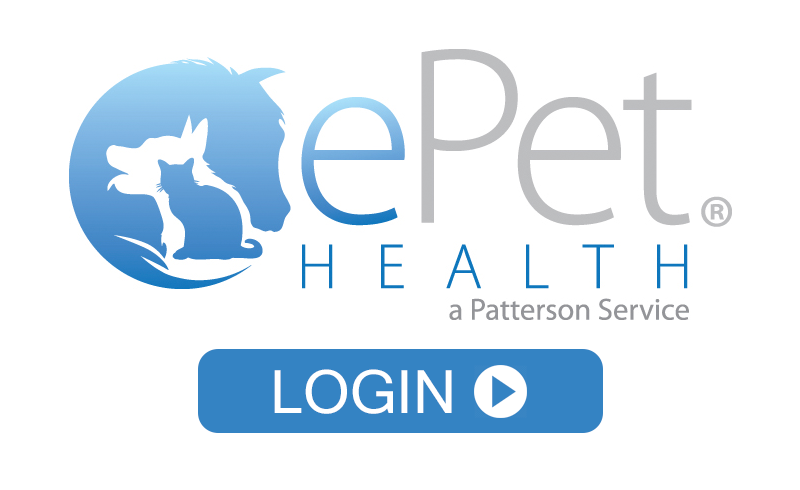 In most cases, pets can fully recover, complication free. however, your pet may temporarily or permanently require a special diet if there are complications. Always remember, pets that have experienced heatstroke once have a greater risk of experiencing it again. If your pet's behavior has not returned to normal in a few days (or as otherwise discussed with your vet), bring your pet back for further assessment.